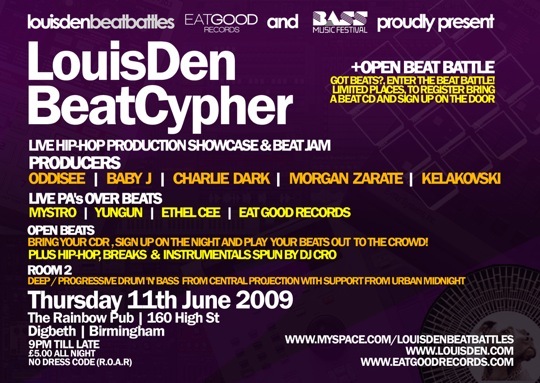 The latest edition of Louis Den BeatCypher features a beat jam and producer showcases with Oddisee, Baby J, Charlie Dark, Morgan Zarate, and Kelakovski. Open Beat Battle & Beats Feature: Bring your CD’s to enter enter the open beat battle or have your original beats played throughout the night. Visit Louis Den for more info.